In the summer of 1950, communist North Korean forces invaded the Republic of South Korea; and the United Nations acted to halt the aggression. Wartime restrictions were placed in effect at the post as Major General Laurence B. Keiser, 2d Division Commander, ordered all officers and men on leave to return to Fort Lewis by the fastest possible means. The 2d Division was ready. Since it had been stationed at Fort Lewis, the 2d Division participated in four large-scale maneuvers; an amphibious assault in the autumn of 1946 at Aliso Canyon, California, in cooperation with the Navy and Air Force; a month-long combat operation at the Yakima Firing Center in the spring of 1947; “Operation Yukon” in 1948 when troops were indoctrinated in airborne training in Alaska; and the large-scale “Operation Miki” in the fall of 1949 when, with the Navy, a mock invasion of the Hawaiian Island of Oahu was staged. In July and August 1950, the 2d Division became the first American division to leave the United States for the fighting in Korea. 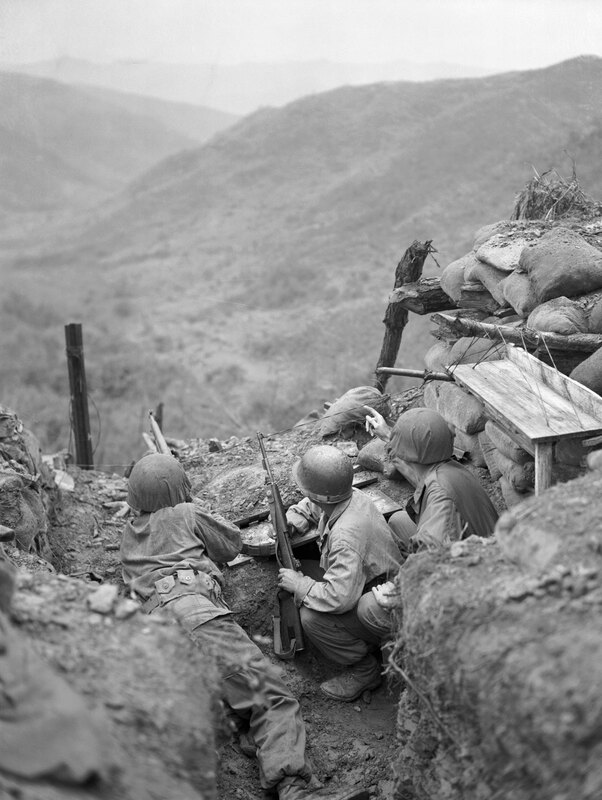 Like the other units to hit Korea during the early stages of the fighting, the 2d Division was committed piecemeal. Units were shoved into the lines as soon as they hit the peninsula. General Keiser himself had been in Korea for 13 days before he had a command, despite the fact that men of his Division were fighting. The 2d Division became the first United Nations force to cross the Naktong River in the counter-offensive, which pushed the North Koreans back across the 38th parallel and resulted in a temporary cessation of all organized resistance. Enlisted reservists recalled to active duty because of the Korean War began pouring into Fort Lewis during the summer and fall of 1950; and reception personnel worked around the clock on a two-shift, 24-hour schedule. The 6219th Reception Center arrived at Fort Lewis as the first Pacific Coast Reception Center to be reactivated. It soon received, processed, and assigned 4,594 soldiers in eight record-smashing days. Refresher training was given to reservists by the 31st AAA Brigade, commanded by Brigadier General Frederick L. Hayden. The men received refresher courses in their respective branches with emphasis upon infantry, artillery, medical, antiaircraft, and field artillery training. Canadian troops arrived at North Fort Lewis in late October 1950 to train for duty in Korea. The Canadian Army Special Force, a colorful, self-contained fighting unit, was believed to be the first large armed group of a foreign nation ever to stage on a reservation operated by the United States. Fort Lewis was used because Canada had no base large enough to assemble such a force. By the fall of 1950, thousands of recalled reservists, draftees, and many units were arriving at Fort Lewis; and once again the housing situation was becoming acute. Construction of two regimental areas, costing an estimated $18,000,000, began in January 1951. The two areas were situated east of Gray Field and near many of the post’s combat ranges. They are composed of permanent, noncombustible-type buildings of concrete frame and masonry construction.